Safe, reliable and long lasting are words synonymous with Volvo and the XC70 is all that and more. Berkeley Bob’s is the premier Bay Area Volvo service and repair specialist. Whether your XC70 needs minor service, or major repairs, we have state-of-the-art equipment and expert knowledge to get your vehicle back on the road. Volvo XC70 wagon first went into production in 1996 for the European market and 1998 in the US. Volvo recently retired this model, the last XC70 was rolled off the assembly line in Gothenburg, Sweden in April of 2016 destined for the Volvo museum. But don’t think of selling! These vehicles will be seen on roads for years to come as their design has proved incredibly popular and if taken care of has the ability to last for decades. The key to success in having your Volvo last is maintenance. Our recommendation for this model is oil change servicing every 5,000 miles or 6 months if the vehicle is under 150,000 miles, otherwise we advise a shorter 3,000 mile interval. It’s also wise to have an established, professional repair shop that knows these vehicles, do a comprehensive inspection at least once a year. Our experience is your reward when you bring your Volvo to Berkeley Bob’s for service. We not only know these cars inside out but have designed many special service considerations that will protect your car. An example is we suggest our customer reduce the mileage interval for tire rotations and have annual 4 wheel alignments performed. These cars are heavy, commonly loaded down and driven hard which pushes the suspension to extremes and accelerates tire wear. It’s not unusual to see XC70 driver’s get only 10,000 miles out of set of tires. Regular rotation and alignment help preserve tire thread and extend tire life. Annual vehicle inspections help nip any suspension wear in the bud and avoid premature tire wear. Volvo offers many accessories to accommodate your active lifestyle. One of the upgrades we like installing is high-performance headlights. These make a huge improvement in the XC70’s nighttime beam visibility. Talk with us before purchasing as the experts at Berkeley Bob’s can help advise you as to what upgrades make sense. The Volvo XC70 has many quirks and pattern failures however if spotted early can save the driver time and expense. The vehicle’s instrument panel and climate control are both items which can fail prematurely. We can help identify those issues before they fail and outline repair options and help you choose what’s best for you. Plastic tank radiators have become the standard on all cars because they reduce overall vehicle weight and therefore offer car manufacturers better fuel economy for their models. The Volvo XC70 has been equipped with this style radiator since the first year. The downside is the plastic tanks don’t last as long as their metal ancestors did. Why is this important? The aging plastic tanks are prone to bursting apart without notice. This means most of the time there are no exterior indications the component is weak. The consequence of a radiator that has burst is immediate loss of engine coolant. Depending on the conditions the result is minor engine overheating. However in extreme cases when the driver ignores the dash warnings the result can be catastrophic engine failure. Berkeley Bob’s offers a preventative package for healthy Volvo XC70 models which depending on age or mileage can include coolant service, radiator replacement, radiator hoses and supporting hose inspection. The brake system on Volvo XC70 is an area of the car that as an owner you will become familiar with. The heavy weight of the vehicle plus its contents, whether that’s a load of used books or just the family, put the 4-wheel disc brakes to the test. Add in repeat downhill braking to a mixture of stop and go driving and we notice the “non-metallic” brake pad material wears considerably fast. At Berkeley Bob’s we combat this by inspecting brake pad thickness on all Volvo XC70 at every service interval. Another area we watch carefully is the all wheel drive ( AWD ) system. Again during servicing we inspect all the associated components for leaks and wear. If we notice any leaks around the bevel gear we advise resealing to prevent replacement of the bevel gear assembly down the line. Also front axle replacement is a common repair on the Volvo XC70. What happens is road debris such as rocks, twigs and other objects are kicked up under the vehicle as you drive and can cause tears in the protective rubber boots. This tear enlarges with normal turning causing the axle grease to leak out and road grit to enter thus damaging the axle. The last and one of the most important concern areas is the positive crankcase ventilation system ( PCV ) on the Volvo XC70. All engines are designed to allow excessive crankcase pressure to escape the engine safely and Volvo XC70 has a series of vacuum elbows, hoses and a containment box to make this happen. However as the years go by the flow gets disrupted by thick engine oil which is caused by longer than advised oil change intervals leading to complete blockage. The blockage causes the engine to vent out through all the engine seals and gaskets. Let us have a look and see if your Volvo XC70 needs a breather box service. Now you’re probably thinking what did I get myself into by getting this Volvo XC70. I want to reassure you the Volvo XC70 is a quality car that will run trouble free for many years provided it’s serviced regularly by an auto garage that knows Volvo cars. 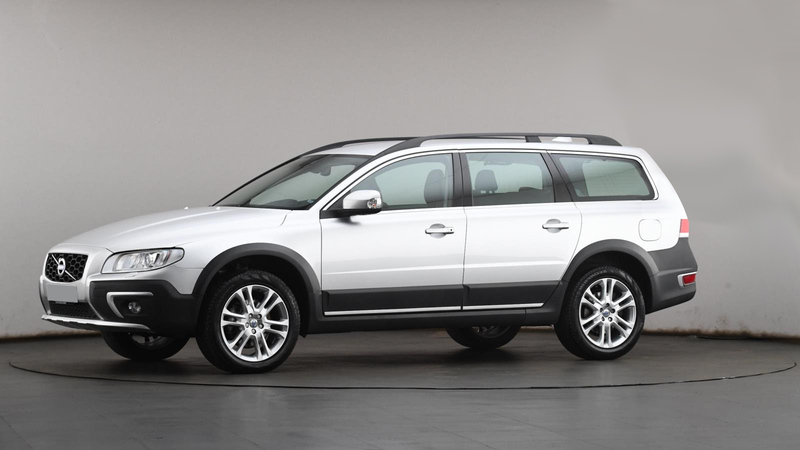 Bring your Volvo XC70 over to Berkeley Bob’s and we’ll take great care of you and your car. We have been working on these cars since their inception. We like them, we know them and we drive them. Give us a call to schedule an appointment.